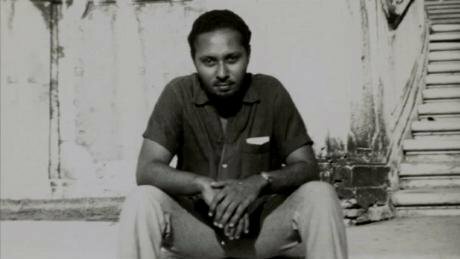 A memorial tribute to the ‘unpretentious, stylish academic’ - Stuart Hall - who had a deep and abiding love for ordinary everyday life and ordinary people. Photograph of Stuart Hall, taken from John Akomfrah's film The Stuart Hall Project. Those people familiar with the persona of Stuart Hall as a public intellectual, or perhaps familiar with his role as exemplary pedagogue (recalling his many appearances on late night Open University TV programmes) will, I am sure, have already seen the many articles which have appeared since his death, aged 82, on the morning of Monday, February 10, and which tell the story of his arrival in the UK in 1951 alongside the Windrush generation, a serious-looking young man from Jamaica, the bearer of an Oxford University Rhodes Scholarship. They will also have heard about his time working for the New Left Review while teaching in London secondary schools, and also finding time to think about the possibilities of studying the media and popular culture seriously. From then on there was the move to Birmingham University Centre for Contemporary Cultural Studies which, after a wonderfully turbulent period, he left in 1979 for the Open University where he stayed until his retirement. After this came the INIVA years, resulting in the gallery at Rivington Place now including the Stuart Hall Library and most importantly in this later period there has been Stuart’s immensely important work in giving intellectual leadership to the generation of Black and Asian British artists whose work can only be made sense of through the lens of a string of influential articles written by Stuart from the late 1980s and into the 2000s. Stuart also has remained ‘in conversation’ with so many of these artists, David A Bailey, Sonia Boyce, Isaac Julien, John Akomfrah (who made the recent feature film The Stuart Hall Project) Chila Burman and others. They will all miss his marvellous and generous insight, dispensed over tea at his West Hampstead home. Those who have known or worked with Stuart will quickly point to their particular engagements with him round a topic such as Thatcherism, or prior to that the moment, where he undertook a study of how the local media in the West Midlands fuelled a series of moral panics about youth crime and race which in turn set the agenda politically, permitting a tougher law and order approach to be unfolded while also playing into the hands of neo-conservatism. Others enjoyed Stuart’s presence in the world of Marxism Today, a magazine which found itself occupying, unexpectedly, a place which was pivotal to the future of the New Labour government eventually elected in 1997. It took me just a few seconds to realise I had known Stuart for exactly 40 years. As I was struggling, as a graduate student, to articulate a feminist critique of youth cultural studies and then spending hours on end with a semiology of Jackie magazine, there he was in the background, fired with enthusiasm for Althusser and Gramsci, entering the seminar room with a pile of books under his arm which would form the basis of his weekly lecture. The Birmingham Centre worked on the principle of the collective, and many articles and book length publications were multiply authored: indeed, in those days it was considered perfectly normal to publish academic articles with no named author whatsoever, a far cry from the current audit culture in the universities where every sentence must have its author, for whom so much depends on being submitted to REF. My point is that for young graduate students this mode of collective writing and then seeing the results in print sometimes just a few weeks after arriving at the Centre was an excellent training and also a way of demystifying the more mysterious processes of the academy. Indeed there was a flat non-hierarchy at Birmingham. Seminars were often crowded out, visitors would arrive from across Europe. People in those days smoked indoors, and I recall young men in plaid shirts, women in a fine array of second-hand dresses and Simone de Beauvoir-style head scarves, and Stuart himself, always in what fashion writers would describe as ‘understated elegance’. It would have been disingenuous after all to be researching aspects of popular culture and not somehow to embody at least some elements of these abiding interests. The Italians who visited from various red cells were always interested in the prison and the factory, the Germans and Scandinavians were, in my mind, rather obsessed with youth subcultures, and with political education. Stuart himself worked his way through Marxist theory, in particular Althusser, Gramsci and Poulantzas, finding writing in that vein which was most useful to his various projects including the move to a ‘law and order society’ , the construction of national belonging through the daily rituals of domestic television, and the emerging politics of ‘Englishness’. Indeed, overall one could argue that Stuart was constantly interested in interrogating the shifting contours of Britishness. (One remarkable example of this is a BBC Open Door programme he presented in the early 1980s titled ‘It Aint Half Racist Mum’ ). At Birmingham there were various internal revolts around questions of gender and race and ethnicity. Through all of this Stuart remained fair-minded, open to challenge, and genuinely engaged with the often combative politics of the hard left. Nevertheless by the time he announced that he would leave for the Open University one felt this was a more than reasonable escape from what had always been a venture run on a shoestring with Birmingham University itself suspicious and reluctant to acknowledge the value of this radical mode of undertaking scholarly work. Since those days I have felt the presence of Stuart, real and imagined through many intellectual journeys. On one occasion I was delighted to be part of a 5-person week-length trip to Japan with Stuart as the most honoured guest. Where the rest of us, on average twenty years younger than Stuart flagged at the packed schedule our hosts had set up for us, Stuart beamed and fulfilled every minute of the timetable, unhesitatingly. In particular I recall the final night of our stay. We were taken to a basement bar in downtown Tokyo, separated and allocated a seat along a long wall with space for about 5 graduate students to sit round each of us. Drinks and sushi were served and the idea was that we would sit there for as long as possible to answer the queries from the very animated students. I actually fell asleep sitting upright, but recall seeing Stuart some yards away remaining alert, wide eyed and animated, throughout this endless seminar. This must have been just a year or so before he retired. There was the fantastic conference and party for his retirement at the Open University where we talked, argued and everyone danced until the early hours. More recently there was a University of Westminster conference where the room was so packed we had to adjourn until another bigger space could be found. Some of my most treasured memories are more local to London and to the various political scenes. I am sure Tony Blair also hovered somewhere in the background of Marxism Today, though the then editor Martin Jacques will have the record of those ‘new times’. The DEMOS, New Times and Marxism Today years were, in my view, among the most highly charged for the reason that this brought Stuart so close to the idea of an incoming Labour (or rather New Labour) government which had been left out in the cold for so many years during Thatcherism and its aftermath. The fall out after New Labour came to office and then the willingness with which the Blair government signed up for war, backing George Bush where almost all other European governments stepped back in disbelief and astonishment, was a profound turning point. It was these twists and turns of New Labour which became the focal point for many of my own discussions with Stuart in the last few years. But there were so many other involvements for Stuart, and hundreds of other people each have their times with Stuart. If asked to sum up what was at the heart of his persona I would say that Stuart had a deep and abiding love for ordinary everyday life and ordinary people. He loved to talk in detail about popular TV series, and he and I would laugh about which Masterchef cooking programme or X Factor talent show on primetime BBC most exemplified the values of contemporary neo-liberalism. He was vehemently anti-elitist and had no time for snobs, intellectual or otherwise. He did not want to assume privileges which many would see as part and parcel of success. With pleasure he would tell me about the people on his dialysis ward at St Marys in Paddington, and how he had ended up discussing the A level Sociology coursework of one of the children of his nurse, who was so delighted to find that her patient was indeed ‘the’ Stuart Hall. Stuart was always present, he was palpably there, engaged, interested, animated. On one balmy evening in Naples he, I and Larry Grossberg flagged a taxi to take us to the waterside restaurant to meet with Lidia Curti and Iain Chambers, our conference hosts. Stuart sat in the front seat and within seconds was taking part in the most animated conversation about the fine details of Italian football with the handsome young cab driver, who was keen to try out his English and who sensed the warmth and sheer friendliness of this unpretentious, stylish academic.